A view along Sherrard Street with the Post Office on the right. 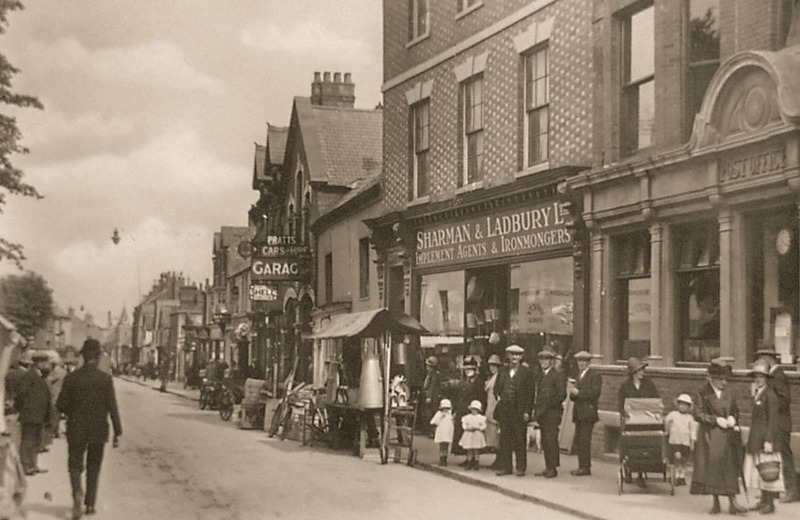 The next-door premises of Sharman and Ladbury had expanded their agricultural engineering business by knocking down down The Wheatsheaf Inn in 1887. At the time of the photograph this building was a garage. It later became a Ford showroom. Approx date: 1910. Image ref: MM0205.